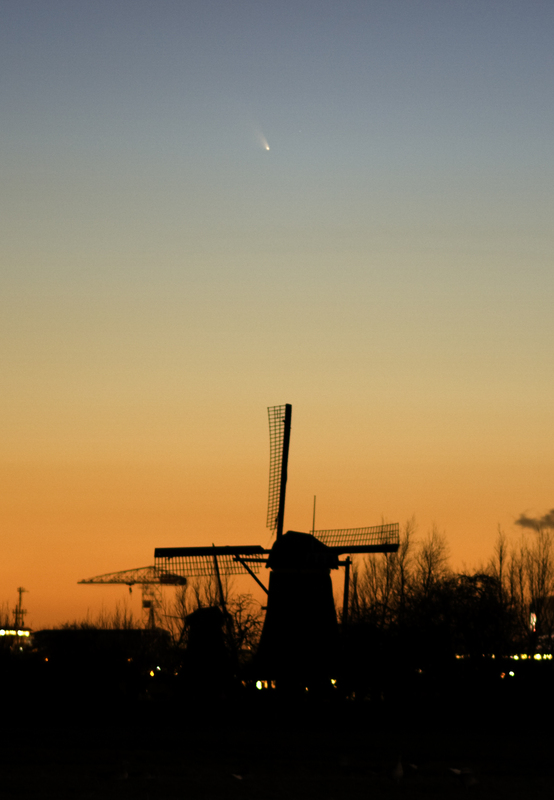 The comet C/2011 L4 (PANSTARRS) seen from Melegnano, Italy this evening. Last edited by avdhoeven on Fri Mar 15, 2013 11:22 pm, edited 1 time in total. The sky was clear in Green Bank, WV this evening. 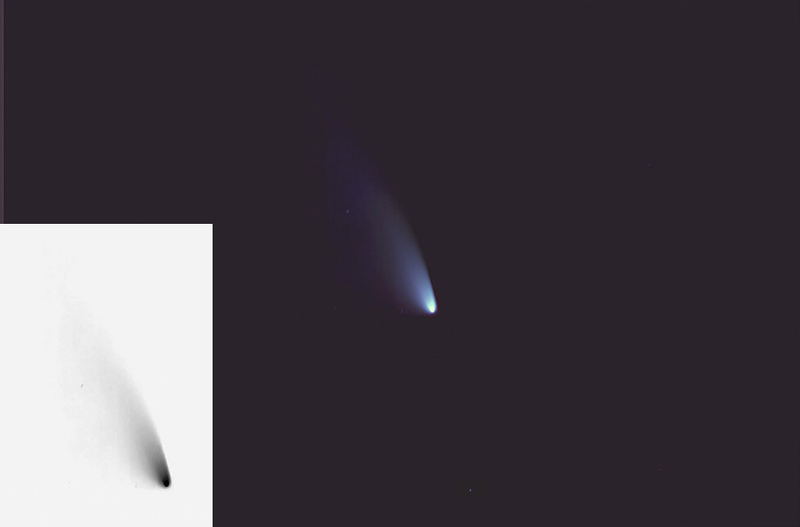 This is a photo of the PanSTARRS comet over the NRAO's GBT (Green Bank Telescope). More info on the GBT can be found here https://science.nrao.edu/facilities/gbt/. 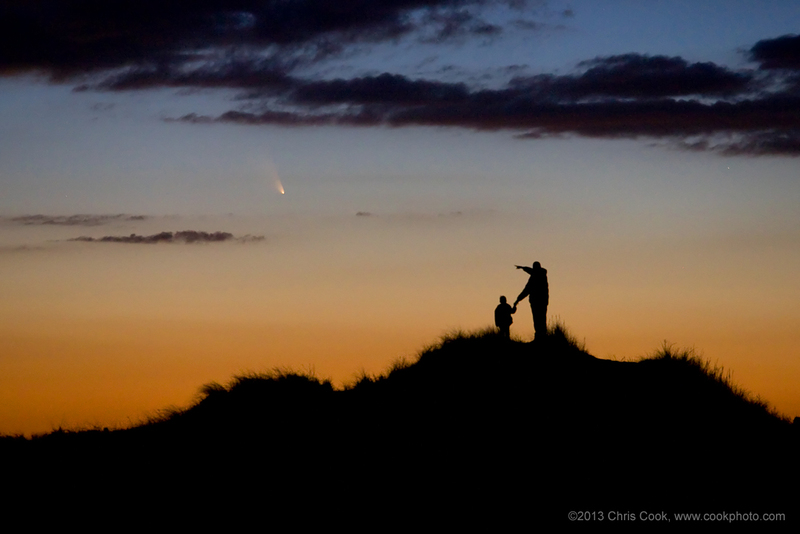 My son and I observing Comet PanSTARRS from the top of a sand dune on Cape Cod, Massachusetts, USA on the evening of March 13, 2013. The image was taken with a remote camera trigger while we walked up to the top of the dune. A wonderful experience to share with him! Last edited by owlice on Fri Mar 15, 2013 10:16 am, edited 1 time in total. 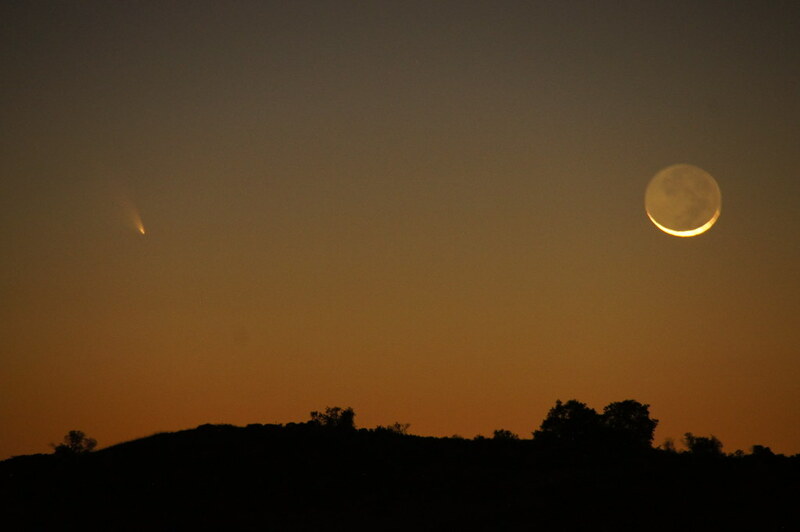 Comet PANSTARRS surfing the mountains and low level clouds above the foothills of Boulder, Colorado. 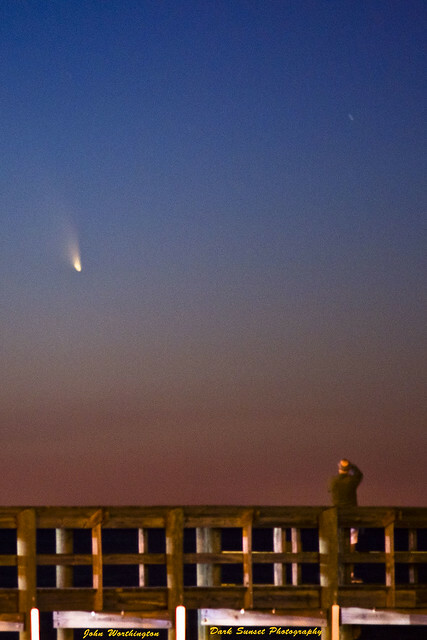 Turned out to be a wonderful viewing of the comet! Similar video from the previous night, March 13, 2013. Here's a rather different view of the comet. Using the 1.2 day Moon, I subtracted the twilight colors from an image of the comet (acquired through a Celestron C11/Hyperstar3. The negative shows some faint striations in the ion tail. Enjoy! Last edited by owlice on Sat Mar 16, 2013 10:12 am, edited 1 time in total. The comet C/2011 L4 (PANSTARRS) setting behind Mount Rosa, Italy: picture taken from mount Mottarone summit. 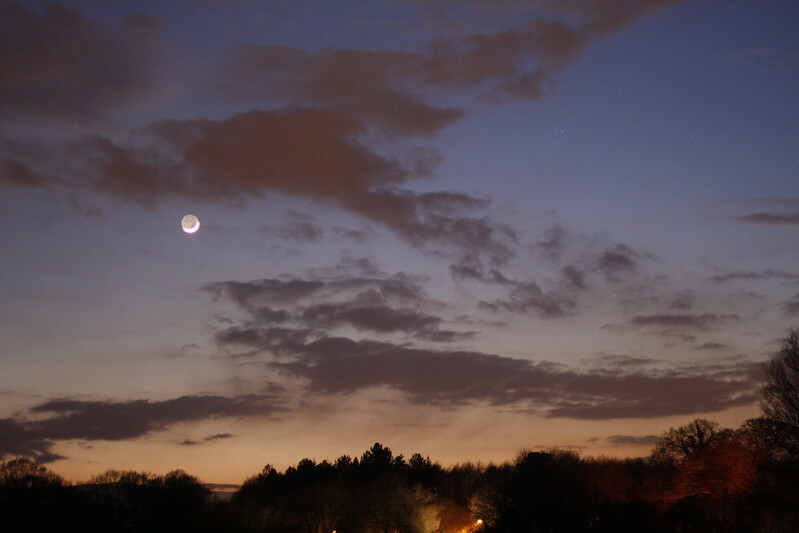 Yesterday evening I focused on PanStarrs nucleus and coma rather than on it's tail, so I exposed not to saturate the nucleus and on 4-5 sequences there seems to be a fragment splitting from the nucleus visible bellow the coma. This image was taken starting at 18:08:39 UT on the 15th of March and is a little more than 5 minutes of total exposure through a 10" (250 mm) Newton telescope. The second image is sharpened and contrast enhanced. The colorfull third image is a frequency modulation that further enhances the local contrast and shows the possible fragment as a dark dot. There seems to be 2 tails separated by a darker lane. There was also a wing of an airplane passing through the tiny field of view (13' x 18'), leaving a trail and some star-shaped flashes. I hope that this possible fragment can be confirmed soon. Last edited by owlice on Mon Mar 18, 2013 11:58 am, edited 1 time in total. 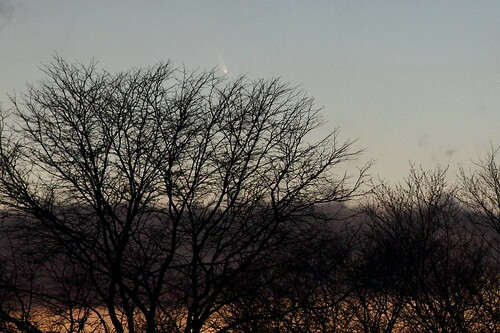 Comet C/2011 L4 (PanSTARRS) can be seen above the trees in the photograph taken on March 13, 2013. I cannot underestimate the importance of using a compass while looking for the comet. These twilight photos are really making me step outside my comfort zone when it comes to astrophotography. I am used to "star-hopping" to compose most of my night photographs. I feel like every day I photograph this comet, I am learning something new! 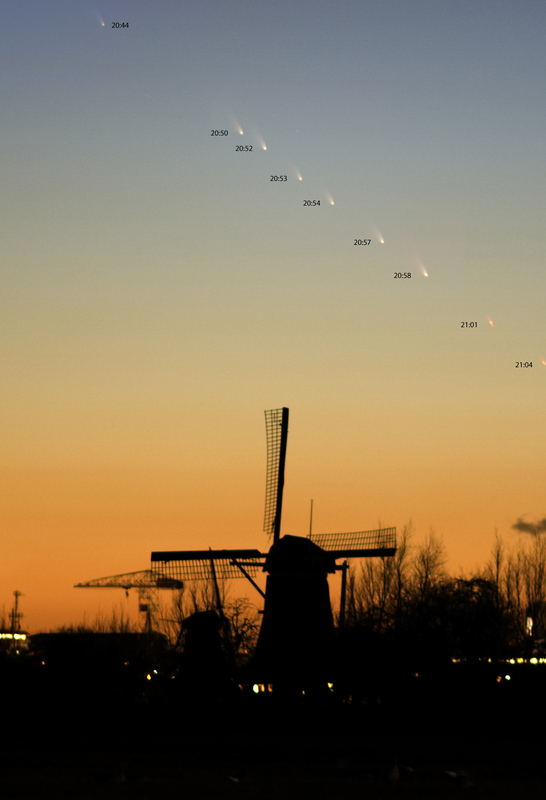 Comet C/2011 L4 (PanSTARRS) on March 16 2013. Airport Wroclaw. Poland. Author Paweł Stankiewicz. 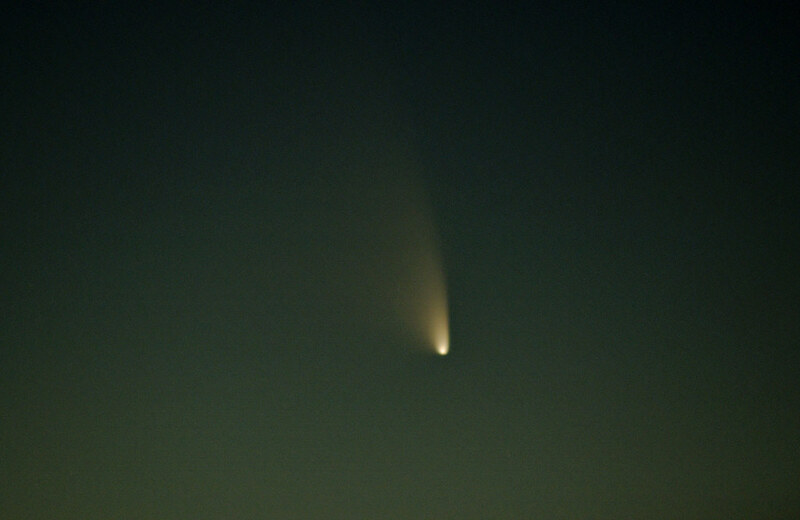 Comet Panstarrs above Monviso and Italian Alps. 15 March 2013, from Capanne di Cosola (Italy), at 1500 m heigth. Photo details: (1°) 350D, 50 mm f/3.5, 3.2 s exp, 1600 ISO. 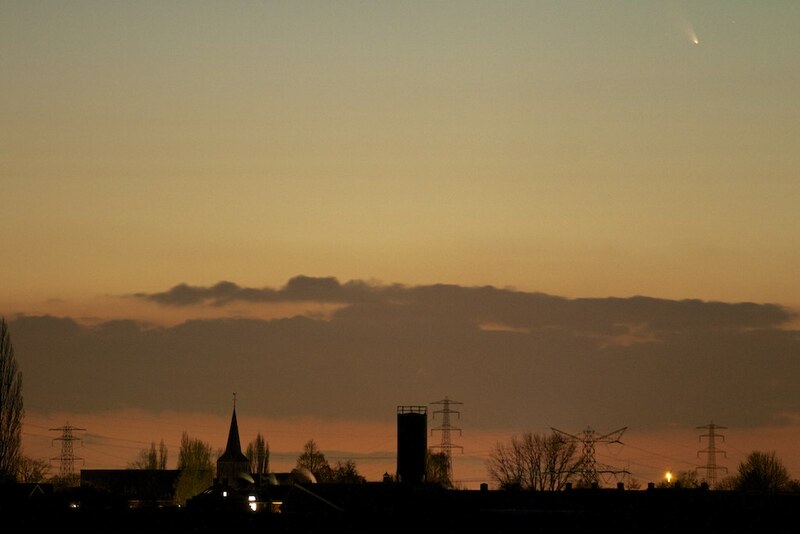 (2°) 5D, 200 mm f/5.6, 4 s exp, 1600 ISO. Last edited by bystander on Sun Mar 17, 2013 12:18 am, edited 1 time in total. Last edited by bystander on Sun Mar 17, 2013 8:06 pm, edited 1 time in total. 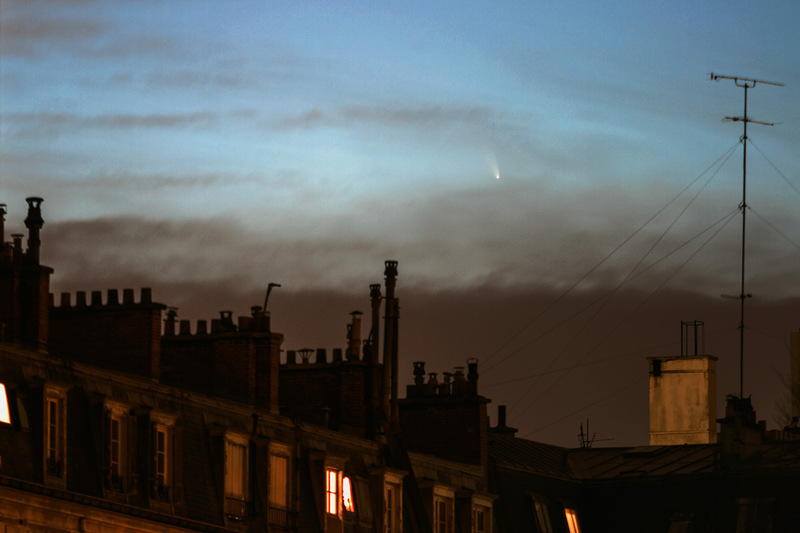 Seen from the beautiful Siekierkowski Bridge, comet C/2011 L4 (PanSTARRS) appears to be looming above the skyline of capital city of Poland.